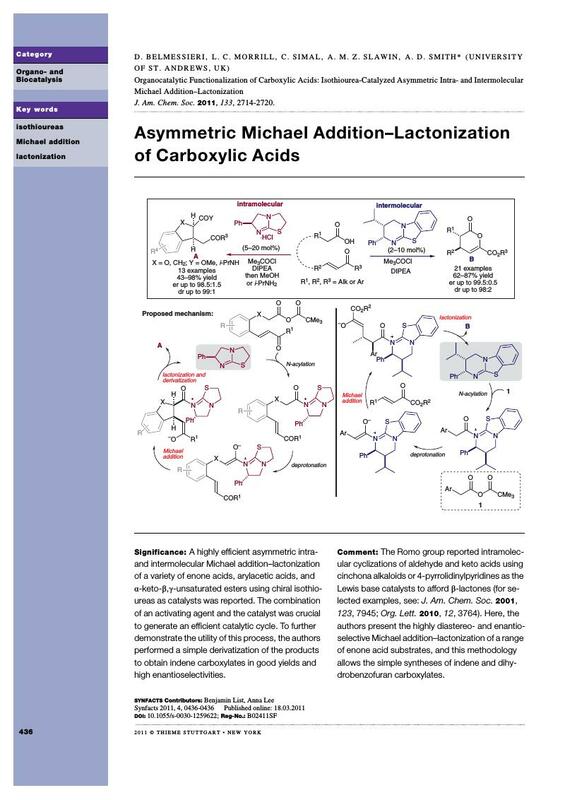 A highly efficient asymmetric intra- and intermolecular Michael addition-lactonization of a variety of enone acids, arylacetic acids, and α-keto-β,γ-unsaturated esters using chiral isothioureas as catalysts was reported. The combination of an activating agent and the catalyst was crucial to generate an efficient catalytic cycle. To further demonstrate the utility of this process, the authors performed a simple derivatization of the products to obtain indene carboxylates in good yields and high enantioselectivities.